Your February Puzzler Solution is here! Congratulations to Paula, Mary and Soren for your correct answers to the Puzzler. 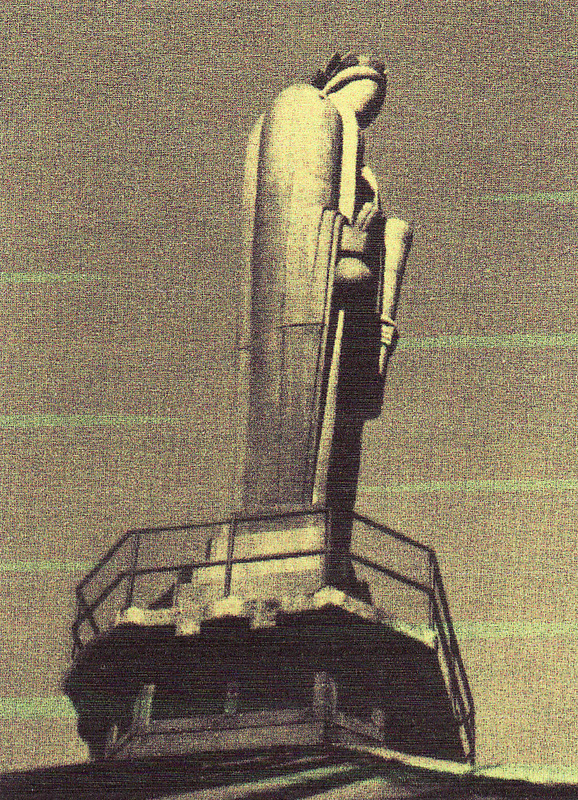 It is the sculpture of Ceres, the Goddess of Grain atop the Chicago Board of Trade Building at the foot of LaSalle Street where it meets Jackson Boulevard. 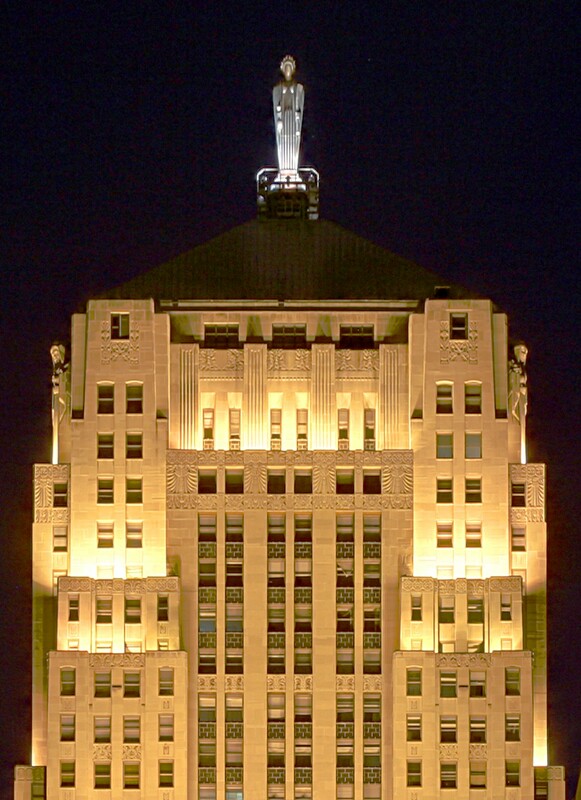 The Board of Trade Building is one of Chicgo’s greatest Art Deco skyscrapers of the late 20’s and early 30’s. It was designed by John Stores of Paris in cast aluminum. Ceres weighs six tons, is 31 feet six inches tall and sits on a six-ton steel frame. It is said that Ceres does not have facial features because the planners felt that there would never be a building tall enough from which viewers could detect their absence. This entry was posted on Thursday, February 28th, 2013 at 10:06 pm	and posted in Uncategorized. You can follow any responses to this entry through the RSS 2.0 feed.